Rich with history, Mauldin has been attracting residents for over 200 years. Mauldin was named after South Carolina’s Lieutenant Governor, W.L. Mauldin, in recognition for his efforts to have a train station built through the town. 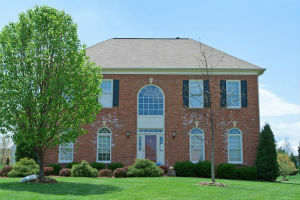 Located in the heart of the Upstate, today Mauldin now has more than a few attractive drawing features for homebuyers. Situated between the City of Greenville and Simpsonville, Mauldin, SC homes for sale have a central location to interstate highways, airports and are within eight miles from Greenville. The City of Mauldin is committed to supporting economic growth in the area. With a strong commerce development plan and substantial corporate tax breaks, setting up shop in Mauldin has become an attractive move for businesses. Want to know more about Mauldin SC real estate and homes for sale in Mauldin? Read more or browse through recently listed Mauldin homes for sale below. Create a free account with us to unlock advanced search tools, save your favorite listings and to be notified of new homes on the market that suit your needs. Mauldin, SC real estate consists of many beautiful properties, many of them designed with a traditional American or colonial styles. Gorgeous hardwood floors, French-inspired windows and updated kitchens make these homes an elegant and desirable place to live. Additionally, the affordable price tags allow buyers to enjoy their home and all that Mauldin has to offer. With many new construction homes available, this city is continuously growing and thriving. Recognized for its natural beauty and Southern hospitality, Mauldin, SC real estate is located in a unique area of Greenville County. Population fluctuated significantly between WWI & WWII, however in the late 1960s, Mauldin officially changed its designation from township to city. The expanding city limits have been a great indication of Mauldin’s growth, both economically and in population. Mauldin is both a business and family friendly city with a great sense of community. Award winning schools with phenomenal music programs and fantastic sports teams are a big draw for families looking to move to the Upstate. City sponsored events at the cultural center, such as the Tree Lighting Community Parade and annual BBQ Cook-off, add the extra touch of community spirit people are looking for. Being active is a way of life in Mauldin, as there are countless parks and recreation programs available for residents. Whether you’re looking for a condo for sale in Mauldin or any Mauldin home for sale, this is a town that truly has a lot to offer. Learn more about Mauldin homes for sale today! Contact RE/MAX Moves to learn more.